Founded in 2007 Northern Psychiatric Associates quickly became known as the premier mental health facility in the Brainerd Lakes Area because of the quality of care that the expert staff provides for patients of all ages. Northern Psychiatric Associates (NPA) staff prides itself on a collaborative approach between psychiatry and psychology to offer you and your family the best care. Services are conveniently offered in a comfortable, private outpatient facility and in several area nursing homes and group homes. We would love to hear from you, especially if you are unsure if Northern Psychiatric Associates is the right choice for you. Our Expert and Caring staff will be happy to assist you. You can reach out to us to book an appointment online as well! Dr. David Anderholm is the founder of Northern Psychiatric Associates, the mental health clinic of choice in the Brainerd lakes region providing both psychiatric and psychological services for patients of all ages with a staff of 17 clinicians and support staff. Doctor Anderholm completed his undergraduate and graduate school education at the University of Minnesota-Twin Cities and specialty training at the Mayo Clinic. He is board certified by the American Board of Psychiatry and Neurology, a member of the American Association of Geriatric Psychiatrists and a Fellow in the American Psychiatric Association. He is often more commonly known as “Julie’s husband” and Kate, Ben and Joe’s dad. 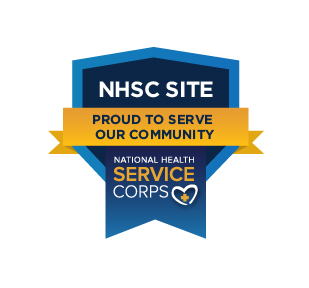 The outpatient clinic located in Baxter, MN is approved as a National Health Service Corps (NHSC) site. As a NHSC site, we promote serving all patients and offer discounted fees for patients who qualify. If you are unable to come to an appointment, please call at least 24 hours in advance to cancel or reschedule your appointment or you may be subject to a $25 no-show fee. It is our policy that if you fail two appointments within 12 months without calling our office at least 24 hours in advance, we will need to refer you elsewhere for psychiatric care. Please anticipate your medication needs and discuss them during your office visit. If you do not have a scheduled appointment and need medication, call your pharmacist for a prescription refill request at least three business days in advance of your prescription refill need. Your pharmacist will communicate with NPA to obtain physician approval.